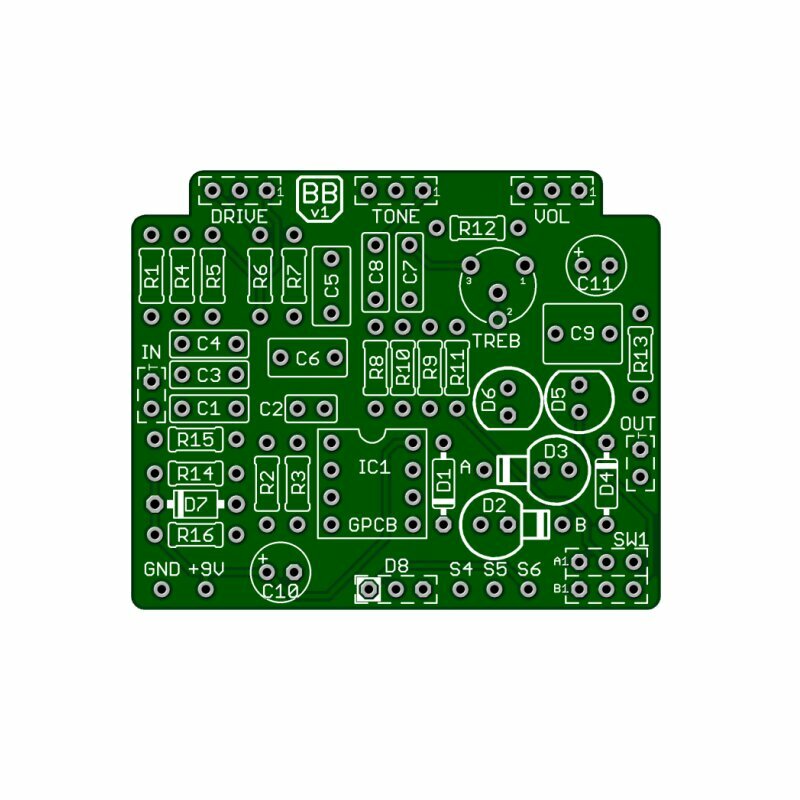 The dimensions of the pcb are 50x41mm. 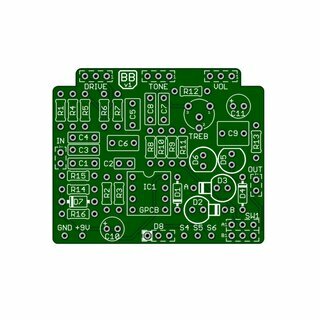 Very high quality pcb. Easy soldering. Blues Buster pcb 5 from 5 Very high quality pcb. Easy soldering. Build this pedal. It is a very low gain pedal but with a very nice sound. Im going to use it as an always on pedal. Made some mods because imo the bass cut is to much. So I changed some caps in the feedback line of the first opamp to both 1 uF. For higher gain I removed the feedback resistor of the first stage and pulled up the parallel resistor over the gainpot from 3k3 to 10k. Then I removed c5. This is a useless cap and will influence the sound. This cap is a rest from the original Marshall BB switching circuit. Then mind R13! in the schematic it is 1M (correct) and in the list it is 4k7 which is wrong. Great overdrive for slightly overdriven SRV sounds!